A child typically views his or her sports experience through the lens of personal success. Each child’s sense of athletic worth is based on his or her performance relative to others and, in team sports, the perceived contributions made to his or her team. Most kids naturally discover their talent as they mature. They gradually learn how to apply their abilities in a way that leads to both individual and team success. But problems can arise both in the way a child internally defines success and his or her understanding of how to achieve it. Some young athletes erroneously view success in more selfish terms—am I dribbling the ball, scoring a goal, or am I otherwise the center of attention? They fail to connect the individual act to the overall goal. Still others struggle to find any path to success. They feel they can’t keep up and have no idea how to contribute. Parents can also contribute to the problem when they push their child into situations for which they are not yet prepared to succeed. Parents may expect their child to play primary team roles and receive equal playing time—regardless of the situation. They fail to understand that there are times when equal playing time in a game does not provide the best developmental experience for a young child. 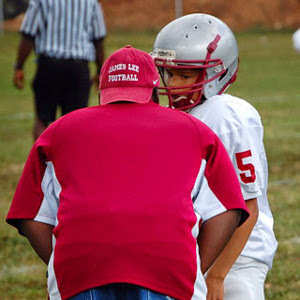 So, how does a coach help a struggling young player find his or her path to success? 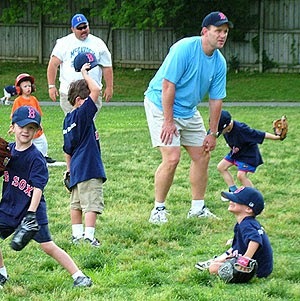 Learning to succeed in team sports is a process that depends on a child understanding a few fundamental individual skills, how to connect and apply these to team play, and then having the opportunity to do so in a game situations that do not overwhelm the child. Opportunity does not necessarily lead to success. Giving a beginning athlete the opportunity to play quarterback in a football game, when he has not demonstrated the necessary skills in practice, will usually result in the player failing at the task. 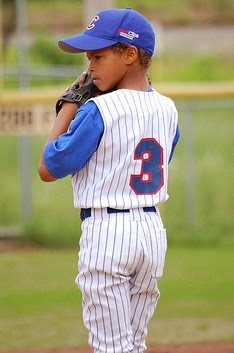 Worse, it may reinforce the child’s negative feelings toward playing the sport. Instead, you should look to provide a more realistic opportunity for the child to apply his or her existing abilities in a meaningful and successful way. Several years ago, I coached a team that included a sixth grade girl named Becky. She was a shy, quiet girl who was reluctant to shoot the ball and generally unsure of herself and her basketball abilities. However, she moved well and was clearly athletic. My approach with Becky was to first build her confidence by having her perform tasks that were well within her abilities. I also initially avoided placing her in game situations requiring extensive ball handling or the need for her to shoot the ball. 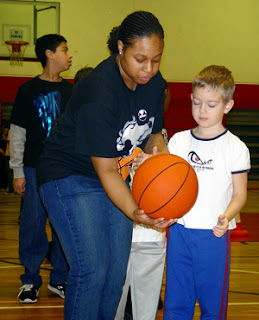 Becky quickly learned how to play great defense, set screens and make good passes. As the season progressed, her confidence grew and she naturally began taking some shots and dribbling when required. By the end of our season, Becky was a key player on our team, confidently playing the game of basketball with a smile on her face. Sometimes the reward for a coach is not only seeing a player develop and find themselves, but also the proud look in a parent’s eye. Becky’s dad, who played basketball in high school (and obviously hoped that his child would also enjoy the sport), gratefully thanked me and my assistant coach after our last game. Although you should generally fit opportunities and team roles to a child’s ability to handle them, don’t necessarily eliminate opportunity because the child may be less likely to succeed. Even if a child is less talented or inexperienced, providing them with a chance for their big moment (one that may last a lifetime) is sometimes the right choice. Your goal is to always provide each of your players with a sports experience that results in a real, positive sense of individual success. Tailor their practice and game opportunities, progressing from comfortable responsibilities and skills to more challenging ones. Let the child’s abilities and confidence naturally unfold. Occasionally throw the child into a more difficult situation that both tests them and provides them with their opportunity to enjoy a heroic moment. Pick your spots. A good coach can see ideal opportunities for lesser skilled kids to succeed. Here's the first post in a three-part series on how and why certain kids get to play key positions such as point guard, pitcher, and quarterback. In this series, we'll cover the importance of primary roles to a team's success, the skills a child needs to develop to play key positions, and also touch on the fairness issue of playing time. A while back, a parent posted a comment and asked, “How does my child develop expertise in an important role unless a coach is willing to rotate the player roles?” This is a fair question. Parents recognize that more attention is often focused on the athletes who play the key positions on their team. And when parents see the same kids continually playing the primary roles, they may feel it’s unfair that their child is not afforded the same opportunity. So let’s take a closer look at why certain kids play the “glory” positions, whether this is unfair to other children, and how you can help improve your child’s opportunity to play an important team role such as quarterback, pitcher, or point guard. Success in team sports often hinges on the performance at key positions. In the NFL, it’s understood that having a “franchise” quarterback substantially improves the odds for a team to reach the Super Bowl. Championship basketball teams often have a dominant center, talented point guard, or both. Excellent hockey and soccer teams usually have forwards who can score and an outstanding goalie. In competitive youth sports, the same principle holds true. Because youth leagues often bring together children of different age groups, the effect of dominant players in key positions is substantial. A team lacking talent at these positions will likely not compete for the league championship. Participation-oriented youth programs usually require skilled players to occupy certain roles—not just to engage in balanced, fun competition, but to also achieve some semblance of teamwork and opportunity to play the game in a way that benefits all of the team’s players. Placing a young football player at the quarterback position, when he has neither the strength nor accuracy to make a downfield throw, will not benefit the more experienced receivers on the team. A young baseball pitcher who can’t throw the ball over the plate will walk player after player, ruining the game for his or her teammates. 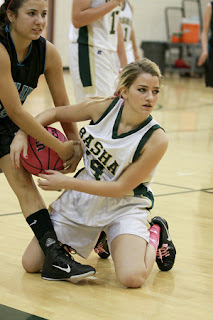 And a point guard in basketball who has difficulty dribbling will continually turn the ball over to the other team. His or her teammates will never touch the ball, become frustrated, and lose interest in playing (no fun). Gaining expertise at a key position, and developing the necessary skills to play the associated team role well, is a process that develops over time and with a number of influences. A child’s natural athleticism, interest in playing sports, age and size relative to others, all affect a child’s overall ability to play a key position. These factors are often also the ones that determine how far an athlete can climb up the ladder of competitive success. But for many children, these factors vary throughout the developmental years. The youngest child of course becomes the oldest at some point, a change often accompanied by increased physical stature and ability. The other main influence on a child’s ability to play a key position is the set of skills a child has mastered. 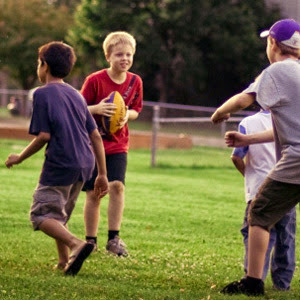 Although natural physical ability is certainly helpful, many important sport skills are learned. And through practice and repetition, these skills are mastered. There are many examples of physically inferior athletes who have enjoyed enormous success because they both understood their position and mastered the requisite skill techniques. How does a child begin the process of learning these essential skills? Today’s parents usually expect organized youth sports programs to provide the instruction and initial opportunity for their child. In next week's article, we'll look at how organized sports and a child’s coach impact the development of your child’s ability to play a key position.